First Elvis, now this: some people don’t really think the "Jackass" guy killed himself in a drunken car crash. It’s all publicity for his next movie, Living Will.” The plot: he dies, comes back to life, and hangs out with his own friends. Isn’t Ergo, say his fans, he’s alive. According to Jalopnik.com, Fox News even published an article headlined: 'Jackass' Star Ryan Dunn Killed in Car Crash, Found To Be a Joke! 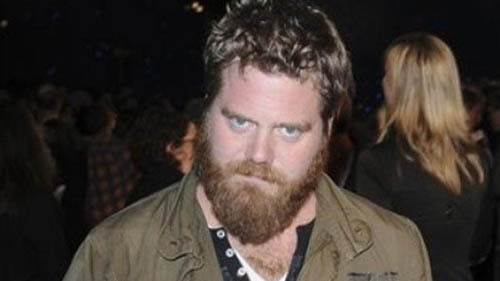 Fox News allegedly said TMZ ran the story, reporting that 'Jackass' star Ryan Dunn "has not really died in a car crash in pennsylvania early this morning." According to the report, April, mother of Dunn's friend and Jackass co-star Bam Margera, played a major role in the gag. Fox even quoted Dunn as saying, "I'm not sorry for making everyone think I was dead. I actually thought it was pretty funny." The story later was taken off the Internet. Another user with the ID 'aporter17,' who claimed to have worked in law enforcement wrote in the threaded discussion, "Unless you were there or seen the body it’s hard to believe!" "It's ******** saying if the news says it happened it's true!!! That's not the case, I have worked in law enforcement and been a firefighter for awhile, and one thing I know the news will make up or play along with anything!!!! Unless you were there or seen the body it's hard to believe!!! Maybe he really is dead which is pretty sad, but maybe it was a joke which is pretty messed up. But these guys are known to do some crazy ****, and look back in a lot of their movies, they pay people and places to play along. So no one knows at this point until he shows himself confessing it was a joke or him really being dead!!!!" 'aporter17' said. Yes, that’s the news media: we’ll make up anything and play along. If the police takes a reporter aside and says “say, we’re just helping a guy out for a movie promo. You won’t go and spoil things by reporting the truth, will you?” the reporter always says “yes,” because there’s no better path to career success than faking news and lying to your editors. And Ryan emerges alive and triumphant, why, you look like a fool, but there’s no higher honor these days than being punked or pwned by the jesters of our era. Man! How come I never get the opportunity to help out a Jackass and manipulate the truth?